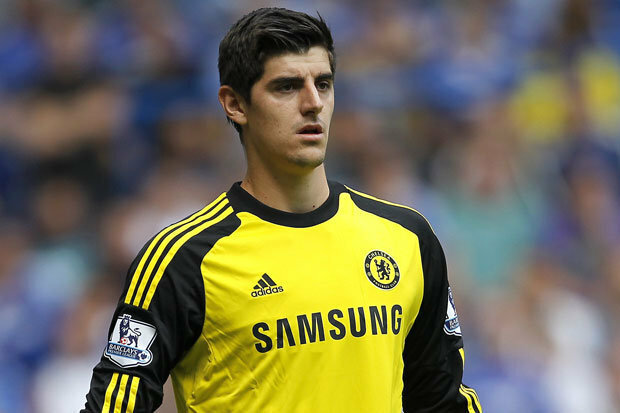 Chelsea goalkeeper Thibaut Courtois has insisted that the Blues were not in the right frame of mind during Saturday's shock 2-1 defeat at the hands of Crystal Palace. The Eagles had not registered a goal or point in the first seven matches of the campaign, but they turned out with a renewed vigour against the Premier League champions. Speaking to French outlet SFR Sport, Courtois admitted that the players on the field were not good enough on the day, whilst also including himself, he said, "The 11 players on the pitch were not at the right level. We were not as intense as they [Palace] were at the beginning. Then we were very unlucky with the first goal – and we can barely even call it a goal." The defeat sees Chelsea in fifth place in the Premier League table with Watford having leapfrogged them with a surprise 2-1 win over Arsenal. The Blues missed the services of both Alvaro Morata and N'Golo Kante against Palace with hamstring injuries but the former is expected to return to first-team training prior to the midweek Champions League game versus AS Roma. Antonio Conte had a relatively fit squad during his season in English management, but the workload in Europe appears to have hampered several of their first-team players including Victor Moses, who suffered a muscle injury of his own at Selhurst Park. The west London giants possess a relatively smaller first-team squad when compared to some of their league competitors, and Conte will hope to have an end to their injury concerns if they are to keep tabs with Manchester City, who are flying high at the top of the table. Manchester City have registered seven wins in the opening eight games of the season, and their recent form has been particularly impressive with four of their last five league games involving five or more goals.